Tips for Success in Herb Gardening | Starkie Bros. Herbs are probably the most overlooked plants in the gardening section and yet they are to blame for why your dinner taste so good! More importantly herbs are not just used for food, they can be used for creating scents for perfumes for both our homes and bodies, decorate our gardens, and help cure our illnesses. One way or not herbs play a role in your everyday life. Therefore, for those of you who are interested, here are a few tips for success in herb gardening. 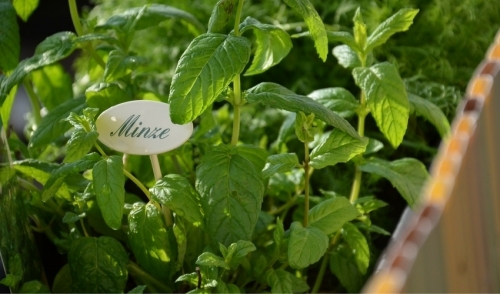 When growing your own herbs, it starts with rich, fertile soil. Good soil is ideal because it’s deep and easy to work with. Having rich soil is idea for herbs because it will not only make your job easier; it also provides the best reproductive environment for your herbs. Many people get into herb gardening by starting with an indoor plant that sits near a window, typically basil or parsley. These types of herbs are the perfect trainer herbs since they grow fast so you can realize your results and are easy to care for. If you’re new to the game, always start with seedlings instead of planting your own seeds. These little starter plants can be found in many popular grocery stores, any nursery, or your local hardware store. Starting from seed can be much more difficult. The second tip for success in herb gardening is to use fertilizer. Even though many herbs do just fine without it, you want be getting the most out the plant if you don’t fertilize. Herbs are at their best when properly fertilized because they grow more and they resist disease or pests, which means higher quality herbs. Use fertilizer at least twice every season they are growing to make sure they receive the optimal amount of nutrients. Another tip is that herbs need to be watered frequently. These plants may be small, but they demand extra love and attention especially during the summer months. A good hint for when you’re planting basil is that when it doesn’t have enough water, the leaves wilt. However, if you water it the leaf will become full again. While some plants only need a one watering a week, always make sure you are watering your herbs a moderate amount every single day. The last and final tip is to harvest carefully. Always harvest in the morning, while the plant still contains its essential oils before drying out in the sun. Preserve herbs in bunches and store them in airtight containers to protect their flavor and fragrance. Keep in mind when snipping leaves not to cut the biggest ones. The biggest leaves will serve as your plants solar panel for reproducing more leaves and flowers. When your herbs are fully-grown, they will be useful for all kinds of activities such as cooking, crafting, and decorating. People will ask you all the time why does your food taste so delicious and why does your home look and smell so good. No matter what, whether you like to cook or garnish, nothing will ever taste or look as good if you’ve made it yourself. Follow these tips and your herb garden will flourish.